In a previous blog post we discussed miniature capacitive sensors and their use for precision and small-part sensing. Here we will discuss the different sensing modes available with separately amplified miniature capacitive sensors. 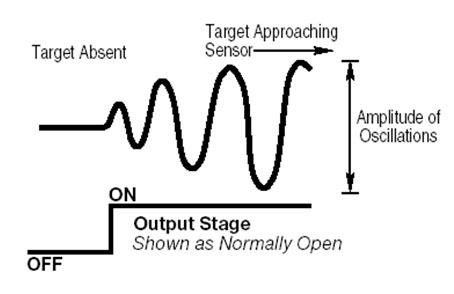 This is the most commonly used teach method for most sensing applications. As an object is placed statically in front of the sensor at its desired detection point, the amplifier is triggered to teach-in this value as its switch point (SP1). Once the value is taught, the output will then switch when the switch point is reached. gests this teach method has two separate teach-in points, a switch-on point (SP1) and a switch-off point (SP2). These points can be taught wide apart or close together, depending on the application need. One application example is for fill-level control by teaching in min. and max. fill-level points. This teach method creates a window between two separate switch points (SP1 and SP2). If the sensor value falls inside this window, the output will switch on. If the sensor value is outside of this window, the output remains off. An application example is material thickness (or multiple layer) detection. If the material is too thin or too thick (i.e., sensor value is outside the window) the output remains off; however, if the material is at the correct thickness (i.e., sensor value falls inside the window) the output switches on. This mode only responds to moving objects and ignores static conditions. This mode is commonly used to ignore a close background, and only detect objects moving in front of the sensor. Additionally, an analog output (either voltage or current) is available. To utilize the whole analog range, two separate teach points are needed. SAHi, analog signal high, and SALo, analog signal low, are taught accordingly to obtain the full range. An application example would be continuous fill-level detection across the sensing area. If someone says proximity sensor, what is the first thing that comes to mind? My guess is inductive and justly so because they are the most used sensor in automation today. There are other sensing technologies that use the term proximity in describing the sensing mode. These include diffuse or proximity photo electric sensors that use the reflectivity of the object to change states and proximity mode of ultrasonic sensors that use high frequency sound waves to detect objects. All of these sensors detect objects that are in close proximity of the sensor without making physical contact. One of the most overlooked or forgotten proximity sensors on the market today is the capacitive sensor. Why? Perhaps it is because they have a bad reputation from when they were released years ago as they were more susceptible to noise than most sensors. 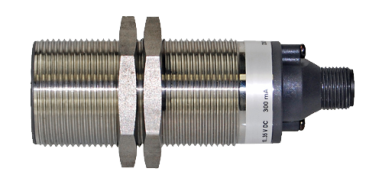 I recently heard someone say that they don’t discuss capacitive sensors with their customers because they had this bad experience almost 10 years ago, however, with the advancements of technology this is no longer the case. Capacitive sensors are versatile in solving numerous applications. These sensors can be used to detect objects such as glass, wood, and paper, plastic, ceramic, the list goes on and on. The capacitive sensors used to detect objects are easily identified by the flush mounting or shielded face of the sensor. Shielding causes the electrostatic field to be short conical shaped much like the shielded version of the inductive proximity sensor. 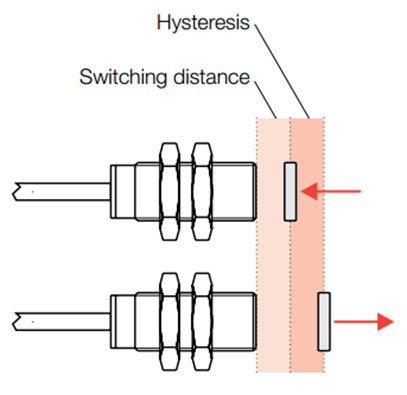 Just as there are non-flush or unshielded inductive sensors there are non-flush capacitive sensors, and the mounting and housing looks the same. 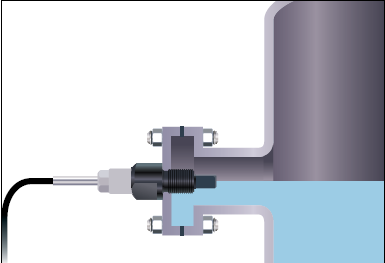 The non-flush capacitive sensors have a large spherical field which allows them to be used in level detection. Since capacitive sensors can detect virtually anything, they can detect levels of liquids including water, oil, glue and so forth and the can detect levels of solids like plastic granules, soap powder, sand and just about anything else. Levels can be detected either directly, the sensor touches the medium or indirectly where the sensor senses the medium through a non-metallic container wall. With improvements in capacitive technology sensors have been designed that can compensate for foaming, material build-up and filming of water based highly conductive liquids. Since these capacitive sensors are based on the conductivity of liquids they can reliably actuate when sensing aggressive acids such as hydrochloric, sulfuric and hydrofluoric acids. In addition, these sensors can detect liquids through glass or plastic walls up to 10mm thick are not affected by moisture and require little or no cleaning these applications. The sensing distance of a capacitive sensor is determined by several factors including the sensing face area, the larger the better. The next factor is the material property of the object or dielectric strength, the higher the dielectric constant the greater the sensing distance. Lastly the size of the target affects the sensing range. Just like an inductive sensor you want the target to be equal to or larger than the sensor. Most capacitive sensors have a potentiometer to allow adjustment of the sensitivity of the sensor to reliably detect the target. The maximum sensing distance of a capacitive sensor is based on a metal target thus there is a reduction factor for non-metal targets. Although capacitive sensors can detect metal inductive sensors should be used for these applications. Capacitive sensors are ideal for detecting non-metallic objects at close ranges, usually less than 30mm and for detecting hidden or inaccessible materials or features. Just remember, there is one more proximity sensor…the capacitive one! To learn more about Balluff capacitive sensors visit www.balluff.us. In liquid level sensing applications, capacitive sensors can be mounted directly in contact with the medium or indirectly with no contact to the medium. Containers made of metal or very thick non-metallic tank walls (more than 1″) typically require mounting the sensor in direct contact with the medium (Fig. 1). In some instances, a by-pass tube or a sights glass is used, and the senor detects the level through the wall of the non-metallic tube (Fig. 2). The direct mounting method could simplify sensor selection and setup since the sensor only has to sense the medium or target material properties. Nonetheless, this approach imposes certain drawbacks, such as costs for mounting and sealing the sensor as well as the need to consider the material compatibility between the sensor and the medium. Corrosive acids, for example, might require a more expensive exotic housing material. The preferred approach is indirectly mounting the capacitive sensor flush against the non-metallic wall to detect the target material non-invasively through the container wall. The advantages for this approach are obvious and represent a major influence to specify capacitive sensors. The container wall does not have to be penetrated, which leaves the level sensor flexible and interchangeable in the application. Avoiding direct contact with the target material also reduces the chances of product contamination, leaks, and other sources of risk to personnel and the environment. The target material also has relevance in the sensor selection process. Medical and semiconductor applications involve mostly water-based reagents, process fluids, acids, as well as different bodily fluids. 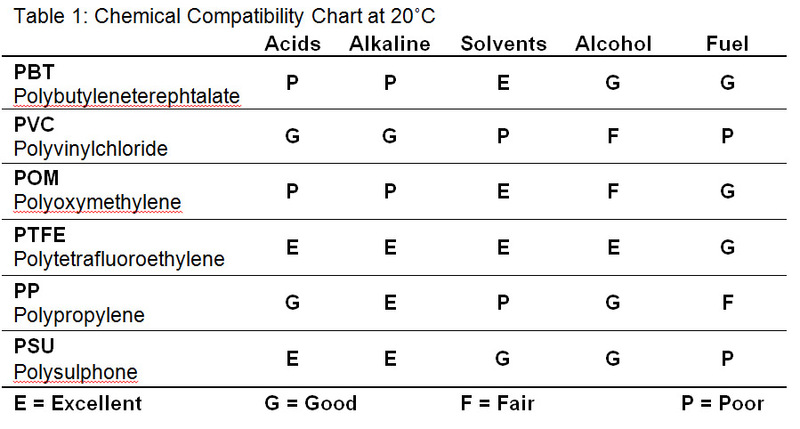 Fortunately, high conductivity levels and therefore high relative dielectric constants are common characteristics among all these liquids. 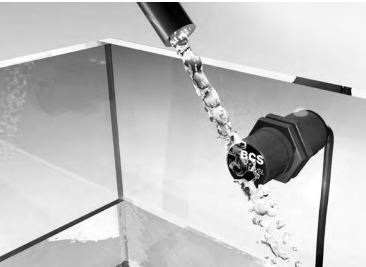 This is why the primary advantages of capacitive sensors lies in non-invasive liquid level detection, namely by creating a large measurement delta between the low dielectric container walls and the target material with high dielectric properties. At the same time, highly conductivity liquids could impose a threat to the application. This is because smaller physical amounts of material have a larger impact on the capacitive sensor with increasing conductivity values, increasing the risk of false triggering on foam or adherence to the inside or outside wall. SMARTLEVEL sensors offered by Balluff will ignore foaming, filming and material build-up in these applications. Learn more about Balluff’s capacitive solutions on our website at www.balluff.us. One of the most overlooked or forgotten proximity sensors on the market today is the capacitive sensor. Why? Perhaps it is because they have a bad reputation from when they were released years ago, as they were more susceptible to noise than most sensors. I recently heard someone say that they don’t discuss capacitive sensors with their customers because they had a bad experience almost 10 years ago. With the advancements of technology this is no longer the case.